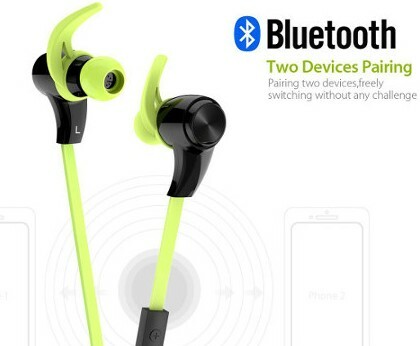 In the BeginnersTech postbag today, we got the 1byone Bluetooth 4.1 Wireless In-Ear Headphones. They are available in green, white and black (the ones we got to review), with a slick design, sweat proof coating and Bluetooth 4.1 technology. These are definitely aimed at the sporty people out there. They also support apt-X HD and 6th generation CVC tech, this is to give you high fidelity sound and also crisp clear calls. 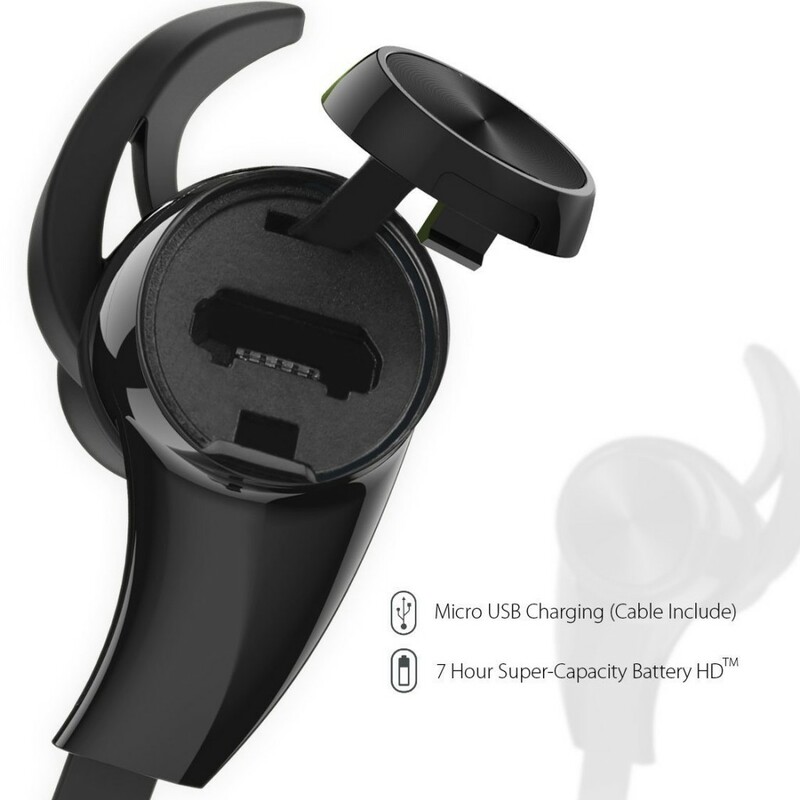 It took a while for me to find the charging port as its carefully hidden inside one of the earbuds. I am not a fan of the ear hooks, as I have trouble finding the right fit, though 1byone have made it so you can remove them if needed, this allows for a more open field for finding the best fit. 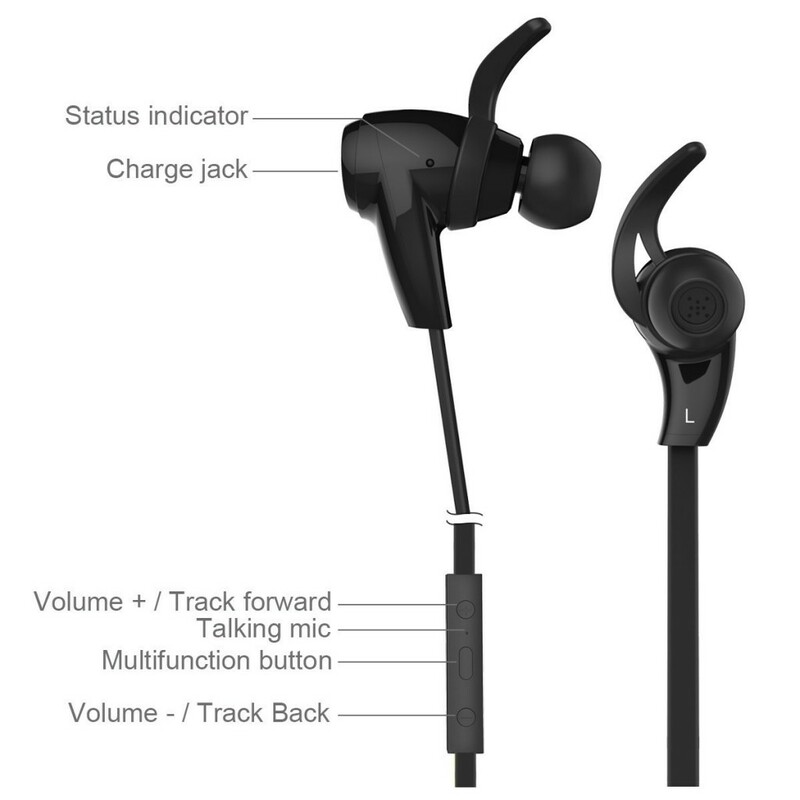 They are slightly bulkier than other in-ear headphones, though I think this is down to the battery in the earbud itself, so the increase in size is understandable. By holding down the power button for 5 seconds, I was able to connect directly to my phone. This is also visually indicated with an LED, and audibly with a woman voice saying “pairing”. The power button is multi functional so you can play/pause and pickup calls. Listening to music on them I found the bass and treble were in perfect balance. When turning up the volume to full I was pleasantly surprised that there was little to no distortion at all. The awesome sound quality is all down to the use of apt-X HD codecs and the 6th generation CVC technology, and these certainly don’t disappoint. Hands Free calling was a breeze, the caller was crisp and clear and they had no trouble hearing me, even when out running. After one full charge I was able to use these off and on for around 8 to 9 hours which I think will be more than adequate for most as that equates ti around a week’s worth of running or exercise for me. 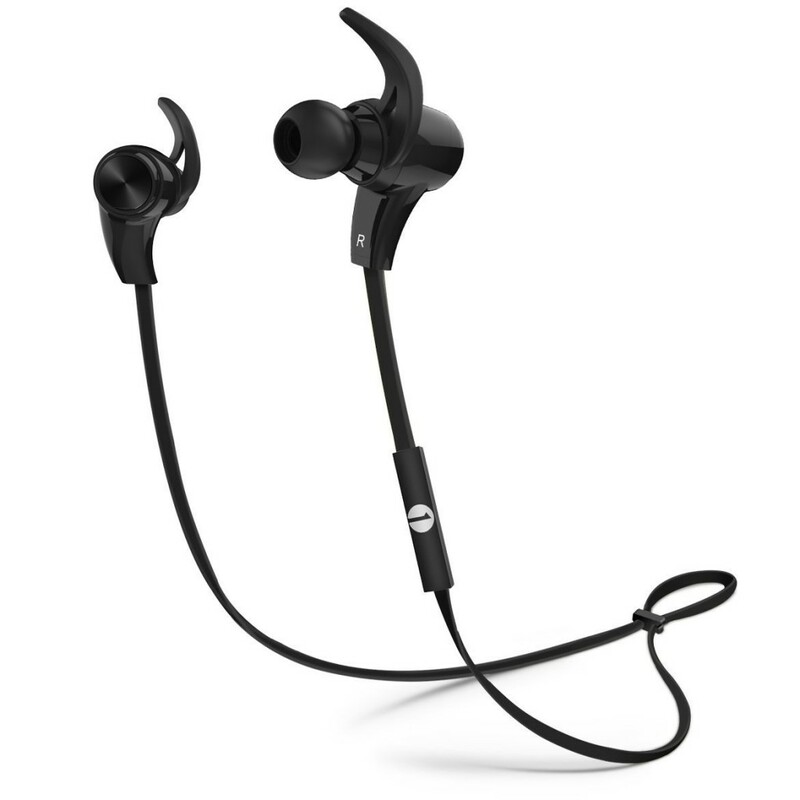 If your looking for an awesome set of earbud’s with great sound and comfort then you can buy the 1byone Wireless In-Ear Headphones on Amazon for only £30.99.